Colombo, Sri Lanka -- In this Vesak week when religious and cultural values of this country take centre-stage it would be apt to discuss an important and crucial aspect of governance that had not received much attention of the professionals, the academia and the authorities concerned during the past 60 years since independence. The aspect of governance that we intend to dwell upon is the legal and judicial system in the country which is an intrinsic part of the Sri Lankan state. It would not be a mistake to observe that the legal and judicial system in the country remains to be a remnant of colonialism that is being blindly and unquestioningly followed by all without being aware of it. Despite some superficial reforms and changes over time, the basic attitude, the literature and language including nomenclature and most crucially the thinking process and roots behind the system are nothing but absolutely colonial. The system is being dominated by a few elitist elements and finds little connection with the wider society despite it being part of their civilian existence. Therefore, it is no surprise that there is not much of a concern among the greater population of the country (not the handful of the Colombo and other urban middle class) whenever there are threats or challenges to the ‘independence of the judiciary.’ For many the system is still the colonial tool that exploits them and not an institution that had emerged from the people to safeguard their rights. It is this frustration of the silent majority who cannot connect with the system that has gone to the level of manifesting itself in the form of various ‘Senas’ that are taking the law unto their hands to a certain extent. There is hardly anything much in this Judicio-legal system -- proudly proclaimed by legal pundits as the Roman Dutch Law – to show the rich cultural heritage of this country and the jurisprudence of its people that existed before the arrival of the colonial invaders led by the Portuguese about 500 years ago. It is no doubt that there should have been a judicial system and an accompanying form of jurisprudence inspired by the Sakviti Raja concept, the Dasa Raja Dharma and the Asokan ideal when going by the rich civilisation that was there in Sri Lanka despite intermittent foreign invasions. Even at the time the Portuguese arrived, the Kotte Kingdom was a thriving metropolis which was absolutely and mercilessly destroyed by them in the subsequent years. By the time things reached the Kandyan kingdom most of the systems that were within the Sinhala kingdoms had collapsed in the face of the onslaught by the Portuguese, the Dutch and the British and it was only a bare skeleton of what existed before which was completely invaded by the British in 1815. Therefore it is high time that a proper undertaking is made to discover those roots and merge with what is there at present to evolve a truly Sri Lankan system that the wider population can identify with. It is in this backdrop that a conference on Buddhist Jurisprudence was held recently by the Prajna Vimukti Foundation under the guidance of President’s Counsel Prashantha Lal de Alwis and President’s Counsel Manohara De Silva at the Lakshman Kadirgamar Institute. The landmark event which was another step in a process that began in 2012 was attended by a host of Buddhist and Legal Scholars. The chief guest at the event was Chief Justice Mohan Peiris while the guest of honour was Bhutan’s Chief Justice Lyonpo Sonam Tobgye who is on a quest to formulate Buddhist theories in jurisprudence. Chief Justice Mohan Peiris delivering an electrifying speech at the onset of the conference pointed out the fact that present jurisprudence and international law is absolutely dominated by western thinking and attitudes and it hardly represents the aspirations and the thinking of the rest of the world. He delved into the rich reservoir of moral teachings in the Dhamma and the Vinaya and noted that a Buddhist Jurisprudence should emerge after an in-depth study and research into those resources and it should not be a superficial exercise. It transpired at the conference that there was hardly any teaching of the local legal heritage other than the colonial period or Buddhist aspects of jurisprudence in the legal education system of the country which is one of the major shortcomings within the system. 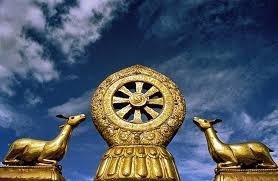 Therefore, the formulation of a Buddhist Jurisprudence is not a small task and cannot be achieved overnight. However, the papers that were presented at the conference covering most of the vital aspects of law were promising and most of them were by young research scholars. The endeavour by the Prajna Vimukti Foundation in this regard is indeed commendable and points in the right direction towards reforming an alien system to meet the aspirations of the greater population of the count.